Our Photo Booth Brings a Smile to Any Event! Our Photo booth is great in any event! Our booth styles allow us to be either inside or outside (weather providing), and fit into a variety of different layouts and styles. Take some time and see what we can do for your event! 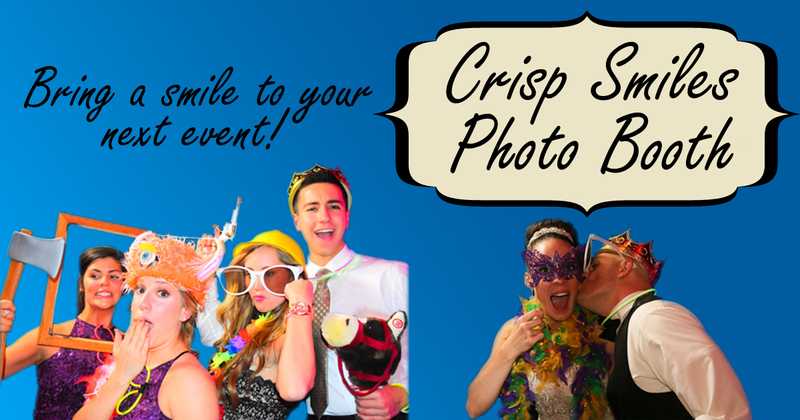 It's no surprise that our Crisp Smiles Photo Booth makes a wonderful addition to any wedding! Our professional operators set up the booth of your preferred style whenever you need us to! We stay at the booth the entire time and work closely with your entertainment provider to make sure your guests know that the booth is open! Our Photo Booth Operators also help create a fun and inviting environment for those wanting to have their pictures taken! What makes us good in the wedding world? Every smile gets captured and shared! Our operators help create those smiles! Unique booth design or backdrops to help fit your wedding theme. Customized photo strip graphics with your name, date, and even a message! We recommend the Diamond Package for your wedding. Our Photo Booth is perfect for all types of parties including but not just limited to birthdays, graduations, anniversaries, bar and bat-mitzvahs, and more! Affordable packages for shorter events! Quick and clean setup. You can have us go almost anywhere! 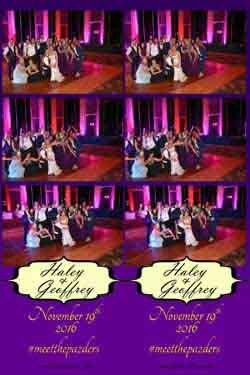 Customized photo strips to fit with your parties theme, colors, style, etc! Depending on your needs, our Basic Package is great for parties! If you need more time bump up to our Silver Package. Are you having a benefit to raise money for a charity or special cause? Our photo booth can help! With special pricing for non-profits and benefits we offer an affordable way to make extra money during your benefits events! We create price points that work with you to help keep your event costs down and donations high! Our Photo Booth can be used in any way during your event, but we recommend taking donations for each picture from your guests! Talk to one of our representatives today to create the best option possible! Launching a new product, have a large employee meeting, want to create better brand awareness for customers? 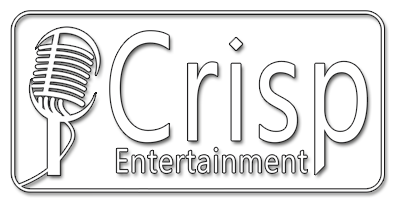 The Crisp Smiles Photo Booth is a great way to get employees or customers involved and smiling at any event for you. Weather permitting we can take the booth outside to your customers and help spread your businesses great brand! Create brand awareness with customizable photo strips that each customer takes away! Include things like pricing, logos, and more! Get employees involved and smiling at meetings. Relaxed employees having fun at corporate events are more likely to participate. Give back to your customers and offer a special "photo day"! We recommend the Silver Packagewith some add-ons for corporate and business events. We give you unlimited sessions for the entire duration of your photo booth rentals! Have everyone you know smile big! No print limit here! If you were in the photo you'll get a print! Doesn't matter if there were 2 or 20 of you! Primp and prep in a live video screen preview to make sure you have the perfect pose! From the last snap to the photo being in your hands happens faster than you'd imagine! Prints come out in less than 10 seconds! When we're done you get a USB Thumb Drive with all your prints, originals & strips to keep! We also create an online photo album and host it for 1 year! Way beyond black & white! Your photos can feature some of the trendiest filters out there! Our attendants take care of everything! You just pick your props and smile! Every booth comes with a fully trained attendant. These folks are the best-of-the-best in the customer service industry, and know what to do to help you and your guests have a great time! Learn how to bring a smile to your next event! Bring a smile to weddings, parties, and more with our Photo Booth. Unlimited photos for you and your guests in beyond HD quality! Fully customize the look and design of your photo strips to fit your events exact needs! We strive to help the Photo Booth experience reach all kinds of events, and make it worth while for everyone! Our packages are tailor-made to maximize benefits for different types of events. If you are planning a smaller party or gathering consider our basic package with maybe a few add-ons. Our silver and gold packages are perfect for weddings of all types! Don't forget to look at our list of add-ons to customize your booth the way you want! Speaking of customized booths, we offer both an open and closed style photo booth to fit your event and venue. Browse through our packages and contact us to see how we can specially design the booth to fit in with your decor better! Customized Strip Design to fit your event! Choice booth for both Businesses and Small Parties! Your choice of Open or Closed Style booth to fit your event theme! Excellent choice for weddings and great for fully customizing large business events. Most Add Ons can be added to any package unless noted otherwise.